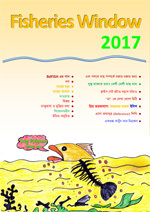 Citation : BdFISH (2017) Fisheries Window 2017 : The wall magazine of BdFISH (e-version) (In Bengali and English). BdFISH, Department of Fisheries, University of Rajshahi, Rajshahi, Bangladesh. 29 pp. retrieved at http://document.bdfish.org. Visited 158 times, 1 visits today | Have any fisheries relevant question?